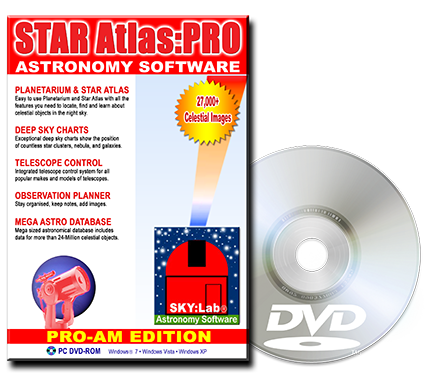 STAR Atlas:PRO™ displays the best Time to observe Jupiter's Great Red Spot, for today or any day you care to choose. Jupiter's Galilean Moons are displayed in real-time positions and you may advance or reverse Time, to see where the Moons will be located at some time in the future or the past. Animate the Moons orbiting Jupiter, by speeding-up Time, if you spot an arrangement of the Moons that you would like to observe the actual time and date that the Moons will be in that arrangement is displayed for your future observation planning.